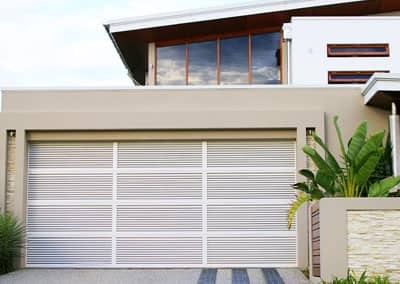 At Steel-Line, we are widely recognised in the industry for being the trend setters and pioneers of garage doors. We have launched a number of innovative products in the past 12 months and we expect these products to continue leading the trend into 2019. Please make sure you check out these exciting new products, which are available to builders and resellers directly from Steel-Line branch network around the country. Steel-Line’s Perisher White colour contains no other pigment except for white, creating the softest most sympathetic colour without the colder blue undertones of a brilliant white. It is available in woodgrain finish for sectional doors and smooth finish for roller doors. Perisher White has been designed to match the popular Pearl White Gloss colour. 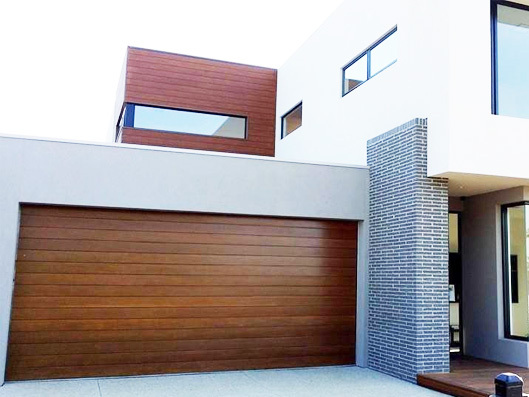 The new Steel-Line Matt finish sectional garage door is available in five popular Colorbond® colours: Surfmist®, Shale Grey®, Dune®, Basalt®, and Monument®. These colours are powder coated on BlueScope’s steel sheets, creating a softer, subtler look. Matt finish is not available for roller doors or smooth finish in Ranch, Heritage and Flatline sectional doors. 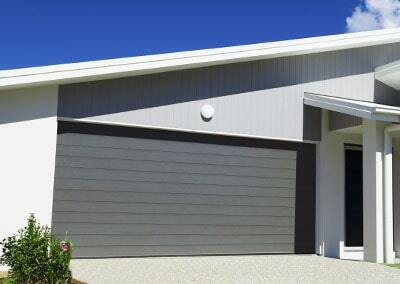 The Steel-Line rendered finish garage door has a realistic concrete look. 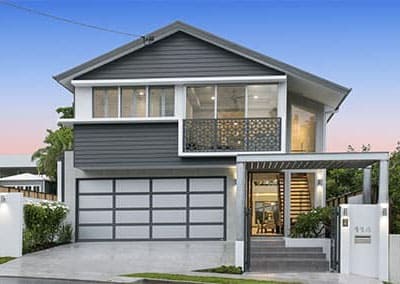 It is made from BlueScope steel and is available in Slimline and Glacier sectional garage door profiles in a smooth finish. A concrete look rendered finish garage door is a stylish and modern complement to your home, enhancing and unifying your home’s facade. 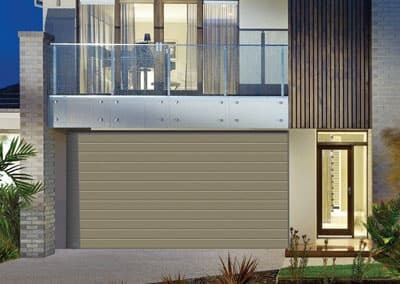 When a smooth concrete look render is applied to the garage door, the finished result is modern, high end and luxurious. Available in either an aluminium-framed or face-fixed design. The Marantec Secura-Lock has been designed using advanced German technology and will automatically engage when you close your door with your remote control. 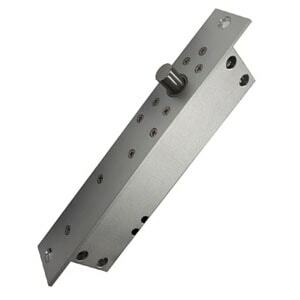 The locking pin extends when the door reaches the closed position, providing you additional security and protection. When opening, the locking pin will automatically retract, disengaging the Secura-Lock and allowing the door to raise to position. The Secura-Lock is compatible with Marantec Sectional Door Openers. 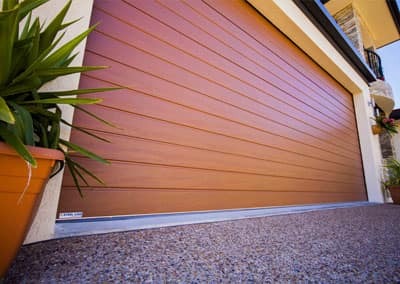 Steel-Line introduced three new DecoWood® colours: Merbau, Silky Oak and Weathered Timber. Our DecoWood® sectional garage door combines the look and feel of genuine timber with the strength and security of steel. The Truefit pelmet creates a clean, modern and seamless finish by integrating the pelmet into the front of the garage door so it is in line. It replaces the boxed pelmet extruding from the top of the door. The aesthetic achieved enhances the elevation of your door and can save hundreds of dollars on building costs, as the steel lintel and brickwork across the door opening is no longer required. Available for double and single garage doors, in twelve standard Colorbond® colours, Classic Cedar and Caoba, the Truefit Pelmet is revolutionising the street-appeal of houses across Western Australia. * Available in WA only. The Colorbond® Metallic colour range features innovative new paint technology which revolutionises the metallic lustre. The new innovative paint type and production method strategically places particles in the paint system to optimise light penetration and colour reflectivity to increase brilliance. A simple play of light is all that’s needed to bring out the signature metallic finish on the Colorbond® Metallic steel garage door. The Inspirations range is a stunning range of stylish FingerProof aluminium framed garage doors with a wide selection of composite inserts. You simply look at the façade of the building and decide what style would best suit – choose your frame in a Colorbond® or a Dulux powder coat colour and then match it with the insert that best fits with the look you want. Steel-Line’s Biowood® garage door retains the natural timber look and feel, is low maintenance and meets the standard for fire safety under BAL-29 conditions. With the Biowood® sanded finish and unique coating process, these doors are not only beautiful to look at, but are also robust, versatile and designed to withstand the harsh Australian climate. 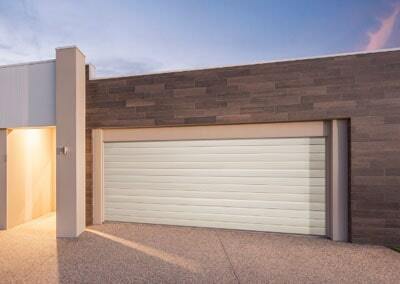 Steel-Line sets a new benchmark for Louvre garage doors. 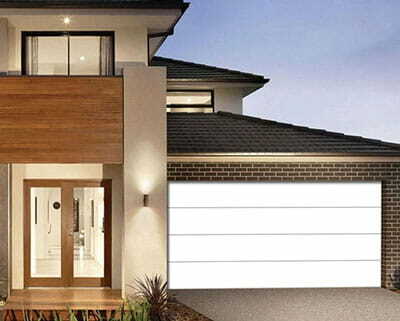 Designed and manufactured in Australia, our Louvre garage door is extremely strong and secure with a modern architectural look. Its ability to provide privacy for what is inside and still allowing a minimum 22% ventilation, makes this the door of choice for many modern developments. The aluminium Louvre panels permit diffused natural light transfer into your garage whilst avoiding direct sunlight. 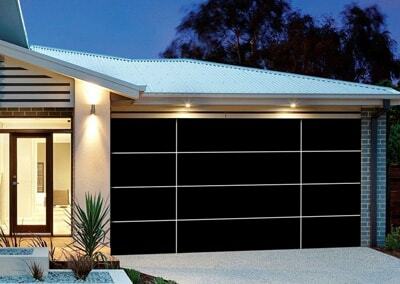 Call Steel-Line Garage Doors on 1300 767 900 today and book a FREE measure and quote.